This exercise works the latissimus dorsi and teres major. 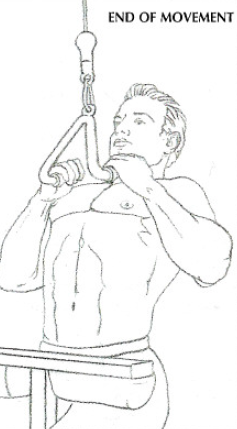 This exercise works a little bit the rhomboid, trapezius and posterior deltoid when the shoulder blades get closer. 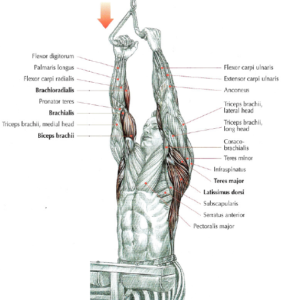 Generally, all « Pull » exercises work the biceps and anterior brachialis. 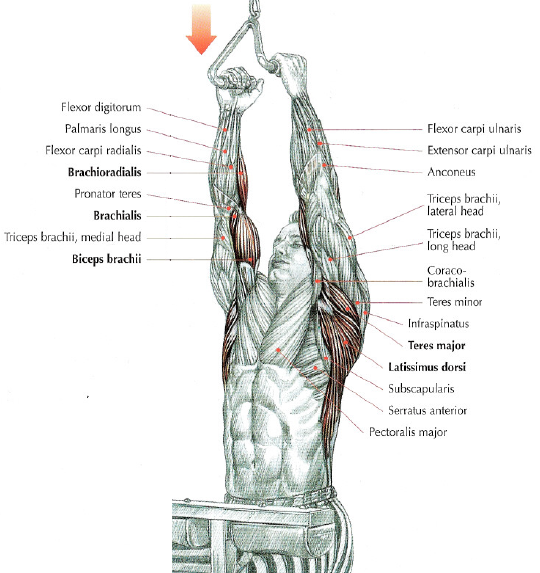 This movement with the semi-pronated grip work especially the brachioradialis. P.S. If you’re in Miami and you like Caribbean foods, go to my cousin’s bistrot to eat Haitian food. Click here. Thank you for your comment. I work to publish useful information and I work for my blog work on any smartphone. Use my free content, have fun and have a nice day.